The Heimbourg single vineyard (9ha) is located on a small detached hillside, east of the Grand Cru Brand, in Turckheim. Between the two hills, there are many geological fault lines on a short distance. The Heimbourg lies on a young Oligocene limestone marl soil, facing south to west on a very steep slope. Mostly abandoned after WW1, my father Leonard started to acquire land there in the 70s. It took a long time to repair the walls, pull out the trees and plant the 4.5ha that we have today. Turckheim is a very precocious area, but the Heimbourg enjoys a slightly cooler soil and exposition. The soil is quite shallow, especially on the top part of the vineyard and therefore yields are naturally quite low for a limestone vineyard. This vineyard can climb high in ripeness and harvesting the right day can be tricky. I believe we nailed it perfectly in 2015 and it produced a fantastic dry Riesling. 8/2017: bright yellow colour. 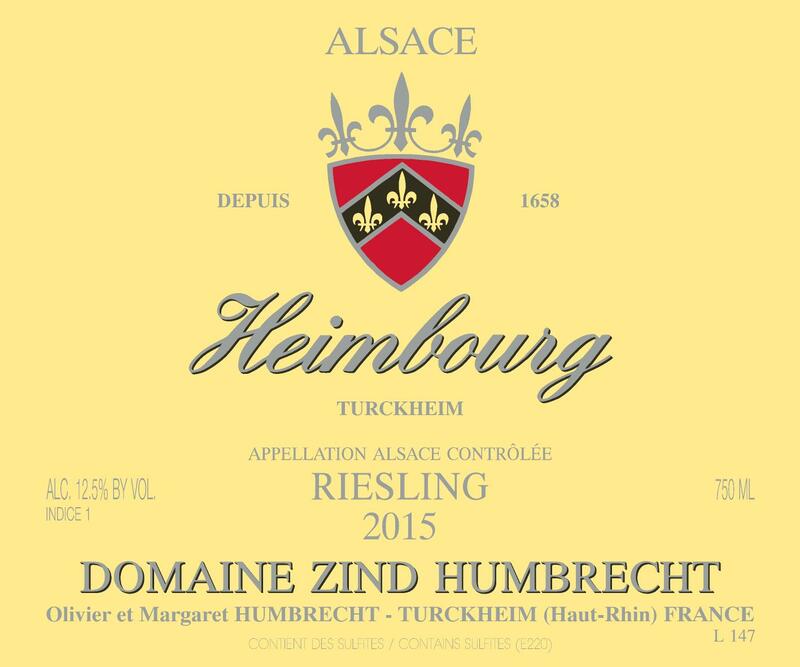 The nose is typical of Heimbourg at this early stage: tight, austere, mineral, strong lees influence, but despite an almost reductive aspect, it reveals quickly ripe citrus fruit. Elegant mid palate, but the limestone large texture provides a certain weight. Long and very dry finish with the classic vintage tannins. The Heimbourg dominates the richness of the vintage and delivers a classic style worth ageing many years.